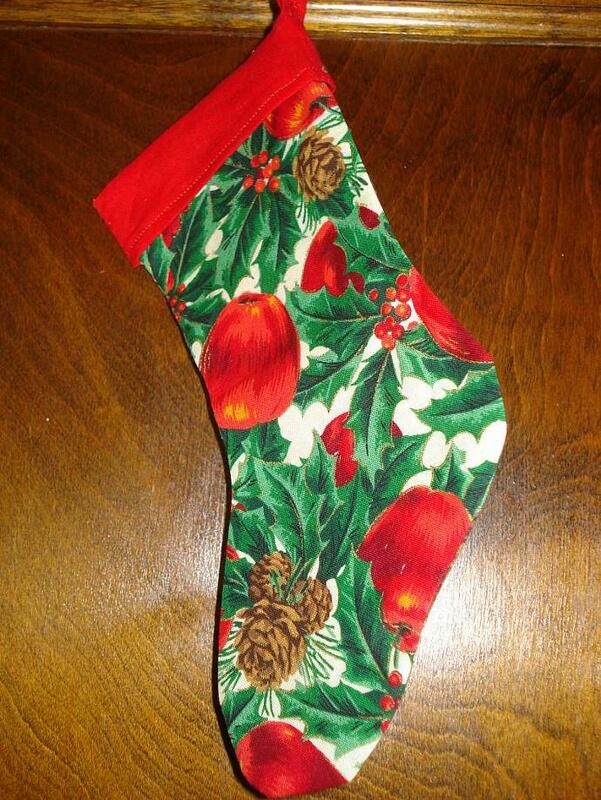 This stocking has a 1" cuff and .25" tag in red. The stocking has red apples, green holly & brown pine cones with green pine needles with a touch of gold accent to highlight. I can create a personalized stocking with a cuff deep enough to add a name or short saying for a small additional fee... Just contact me!